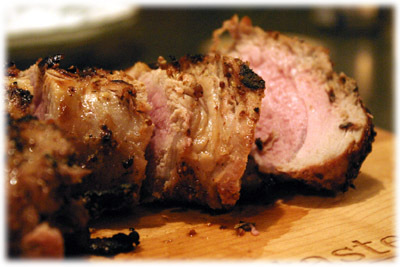 How about a pork tenderloin recipe that's easy to cook AND actually tastes great? 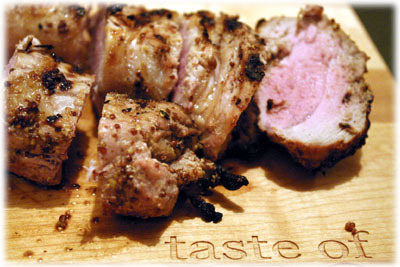 The pork tenderloin marinade ingredients are an unlikely trio of Honey, Dijon and Whisky. 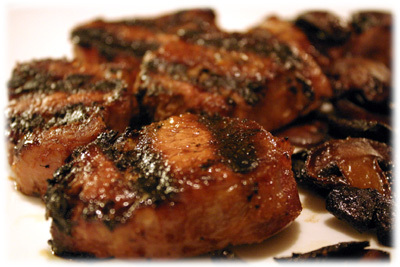 This tasty tag-team is an amazing marinade that works away on the tenderloin overnight, as you sleep blissfully unaware, ensuring their flavors are deeply embedded in the meat. You'll want to remove the tenderloin from the grill when the internal temperatures reached about 155F and cover with foil, it should rise to about 160F which is perfect. This temperature ensures a nice crispy exterior and a perfectly cooked interior. Don't mind a little pink in the center of the tenderloin, that's expected and current recommendations are actually that internal temperature of 145F is totally acceptable today. For best results soak in the tenderloin marinade overnight. 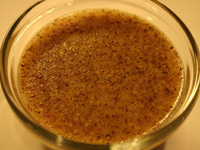 In a small glass bowl combine all the tenderloin marinade ingredients and mix well. Tip: I use Canadian Rye Whisky, but Bourbon works too. 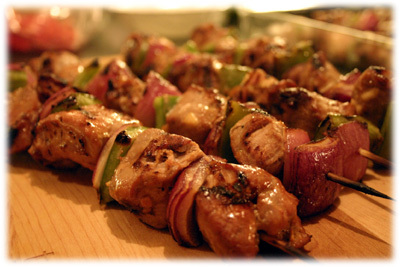 With a fork pierce the tenderloins all over to ensure maximum marinade penetration. 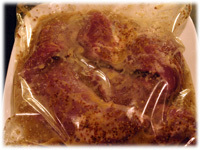 Place the tenderloins in a resealable plastic bag and pour in the marinade. Seal the bag and squish it around to completely cover the meat. Place the bag in a small pan to guard against possible leakage and put into the refrigerator overnight. Clean and oil the grates and preheat the grill to 500F - 525F. 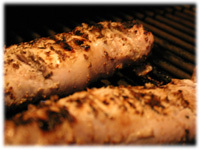 Remove the pork tenderloin from the marinade and place on the grill when it's reached cooking temperature. 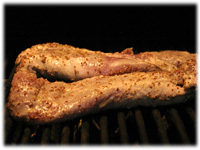 After 7 or 8 minutes, peek under the tenderloin to see if it's browning up and developing grill marks. If so go ahead and flip it over and close the lid. After another 7 or 8 minutes check the internal temperature of the pork. If it's reached 155F then you can remove it. If not, flip the tenderloin a 1/4 turn and keep cooking until you've reached 155F. 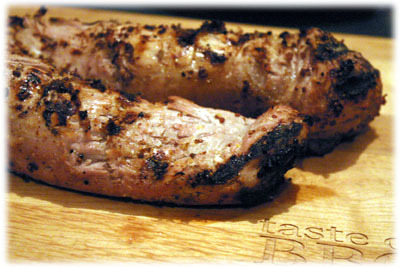 Remove the pork tenderloin from the grill and cover with foil for 5 minutes so the internal temperature climbs to 160F. Slice into medallions and serve.